On December 22, 1992, files documenting the fates of thousands of Latin American dissidents were discovered at a police station in Asuncion, Paraguay. 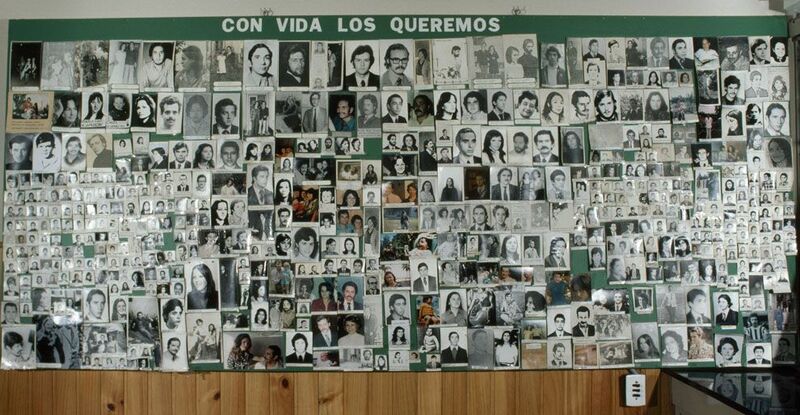 This wall, maintained by families and civil rights advocates, commemorates the "disappeared" in Argentina's "Dirty War" of the 1970s and 1980s. On December 22, 1992, files documenting the fates of thousands of Latin American dissidents were discovered at a police station in Asuncion, Paraguay. The files reported details of “Operation Condor,” a clandestine program of political repression economically supported by the U.S. and implemented by right-wing governments of South America from the mid-1970s through the late 1980s. The so-called “Archives of Terror” document assassinations, kidnappings, torture, secret imprisonments, and surveillance programs aimed to eliminate political opposition. The files listed more than 50,000 deaths and 400,000 political prisoners throughout Argentina, Bolivia, Brazil, Chile, Paraguay, Uruguay, Colombia, Peru, and Venezuela. The Archives of Terror are part of UNESCO’s “Memory of the World” register. The register is dedicated to preserving and digitizing manuscripts and other documentary heritage. someone who disagrees with public opinion or authority. observation of a person, community, or situation.